Typically, common allergenic foods and beverages containing corn, soy, wheat/gluten, eggs, dairy, shellfish, and peanuts are omitted from the daily diet in conjunction with caffeine, sugar, alcohol, and red meat for 10 to 28 days, depending on the duration of the program. In scientific literature, using an elimination diet in various formats has historically been used to address various conditions with differing levels of success. 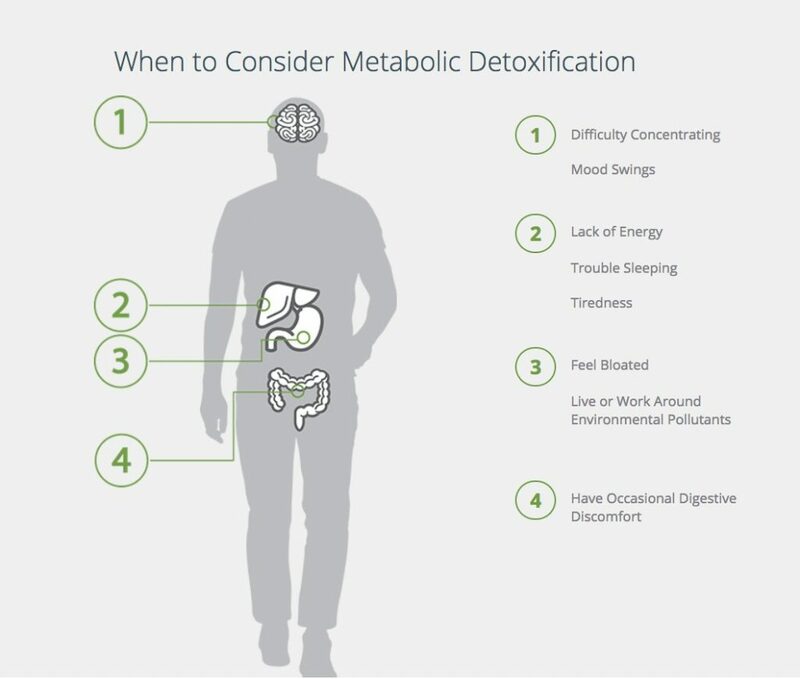 *For more information about our 10-Day provider-lead detox program, schedule an appointment or ask about our Group Events and support program. 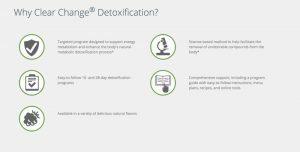 *All ClearChange content provided by https://www.metagenics.com/detox.